– 300dpi PHOTO download for media: Send2Press.com/wire/images/12-0223-david_300dpi.jpg . – Photo Caption: “For Matt” Dedicated to Bullycide victim Matt Epling. Choreography: Rennie Gold. News issued by: Project Moves Dance Company, Inc. Original Keywords: Rennie Gold, Project Moves Dance Company Inc, One Human Race, The Gold School of Dance Art, Boston Center for the Arts, Stanford Calderwood Pavilion, anti bullying, human rights, dance, change agents, youth changing the world, born this way, dancing with the stars, epling, bullycide, kids issues Project Moves Dance Company, Inc. Brockton Massachusetts BROCKTON, Mass. 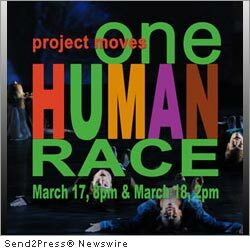 News Source: Project Moves Dance Company, Inc.
More from Project Moves Dance Company, Inc.
RSS News Feed for Project Moves Dance Company, Inc.
REFERENCES: Boston Business News, Rennie Gold, Project Moves Dance Company Inc, One Human Race, The Gold School of Dance Art, Boston Center for the Arts, Stanford Calderwood Pavilion, anti bullying, human rights, dance, change agents, youth changing the world, born this way, dancing with the stars, epling, bullycide, kids issues Project Moves Dance Company, Inc. Brockton Massachusetts BROCKTON, Mass.